This top-quality durable T-Shirt is printed direct-to-garment with new age technology that preserves the color-fastness of the design. 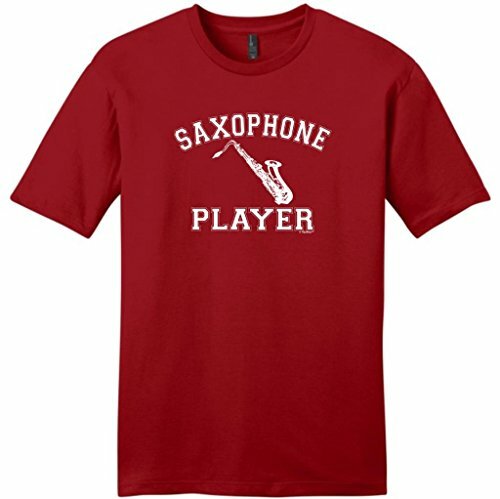 This unique saxophone player T-Shirt is designed and printed in the United States with eco-friendly ink, so it is safe for you and the environment. This durable, comfortable T-Shirt comes in five different colors and is sure to be a hit, whether you’re buying it as a gift for somebody special or wearing it yourself. It is 100% cotton and it will make an ideal gift for any saxophonist.